Rovio’s Angry Birds franchise is set to get another big boost in America and Europe after its creator Rovio agreed a deal with a major US retail chain to sell merchandise and will move forward with plans to open branded theme parks in the UK, Reuters reports. 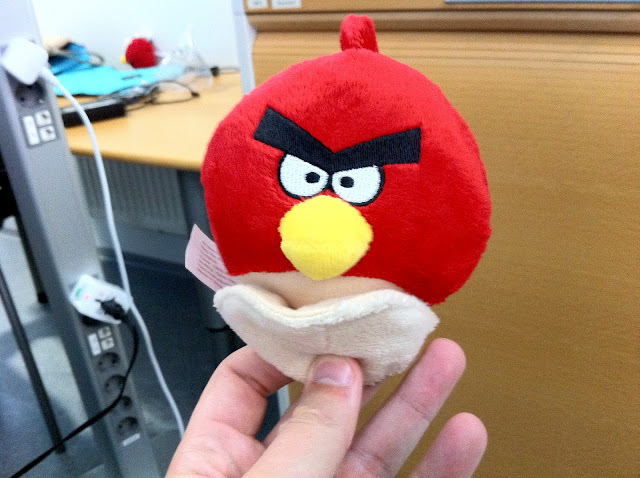 Angry Birds has a presence in the US, with Rovio having already teamed-up with Barnes & Noble to sell game credits. However, the company has also recently signed a deal with a major unnamed retailer to stock toys, books and T-shirts, which will be announced when it launches the next title in the franchise — Angry Birds Space — on March 22. The game itself is the most-downloaded game in history, having notched up 700 million downloads, and in a number of months since its launch, has become the fastest-growing game on Facebook. Rovio’s expansion in the US and the UK sees it attack two of its most popular markets, having seen huge success in the UK when the game originally launched. That said, the company is eyeing its Chinese expansion soon, having already dealt with the opening of unofficial and unlicensed theme parks and merchandise going on sale in the country. Last year, we reported on Rovio’s plans to open theme parks in the UK, which will be will feature themed slides, towers and rope-swings all built around the smartphone game that has taken the mobile world by storm. Rovio penned a global deal with activity park manufacturer Lappset Group which will see the first two parks launch in Finland, with several others expected to spring up in the UK throughout the year. The Angry Birds parks will include around twenty products, including animal spring riders, swings, sandpits and a range of climbing towers with slides. Familiar characters from the mobile game will be incorporated into the playground equipment, with a colour scheme to reflect the Angry Birds environment. There will also be an Angry Birds arcade game that can be played outdoors in the park. Rovio also plans to release a feature-length animated movie based on the game at some point too, with a shorter animated series thought launching in early 2012, so we can expect to be seeing more of the Angry Birds brand over the coming year.